Kick off your visit on the 13th (Tue): pause for some photo ops at Bee Gees Way, stroll through Shorncliffe Beach, then get lost in a book at State Library Of Queensland, and finally test your problem-solving skills at popular escape rooms. 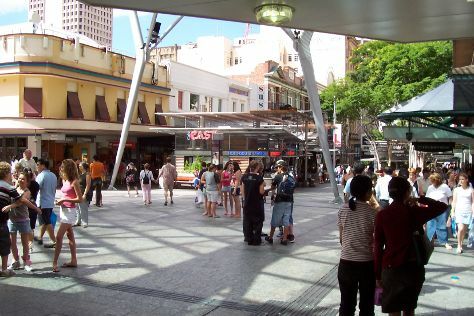 On the next day, get your game on at Zoccer Sports - Bubble Soccer, admire the masterpieces at Queensland Art Gallery, and then wander the streets of Queen Street Mall. To see reviews, other places to visit, more things to do, and other tourist information, refer to the Brisbane online trip builder . Use the Route module to find suitable travel options from your home destination to Brisbane. In August, plan for daily highs up to 25°C, and evening lows to 11°C. Wrap up your sightseeing on the 15th (Thu) to allow time to drive to Noosa. On the 15th (Thu), look for all kinds of wild species at Noosa Botanic Gardens, explore the wealth of natural beauty at Tewantin National Park, then contemplate the waterfront views at Lake Weyba, and finally take some stellar pictures from Laguna Lookout. For reviews, photos, maps, and tourist information, refer to the Noosa trip planner . Start off your visit on the 16th (Fri): stroll through Burrum Heads Beach, pause for some photo ops at Mary Poppins Statue, and then let little ones run wild at Queens Park. Get ready for a full day of sightseeing on the 17th (Sat): have some family-friendly fun at Hervey Bay Go Kart Track, then let little ones run wild at Point Dayman Park, then tour the stables at Susan River Homestead Adventure Resort, and finally admire the striking features of Maryborough City Hall. To find maps, other places to visit, reviews, and other tourist information, refer to the Hervey Bay trip planner . Getting from Noosa to Hervey Bay by car takes about 3 hours. Other options: take a train; or take a bus. In August, plan for daily highs up to 27°C, and evening lows to 13°C. Finish your sightseeing early on the 18th (Sun) so you can travel to Rockhampton. On the 18th (Sun), ponder the design of Keppel Kraken, stroll through Yeppoon Main Beach, and then go for a walk through Bluff Point Walking Track. On the next day, get outside with Yeppoon Lagoon, get great views at Wreck Point Scenic Lookout, then don't miss a visit to Singing Ship, and finally stroll through Anzac Plaza Emu Park. To see where to stay, maps, and other tourist information, refer to the Rockhampton trip builder app . You can take a train from Hervey Bay to Rockhampton in 4.5 hours. Other options are to fly; or drive. In August, plan for daily highs up to 30°C, and evening lows to 13°C. Wrap up your sightseeing on the 20th (Tue) early enough to travel to Mackay. Mackay is a city and its centre suburb in the Mackay Region on the eastern coast of Queensland, Australia. Kick off your visit on the 21st (Wed): kick back and relax at Smalleys Beach, explore the activities along Pioneer River, and then enjoy the sand and surf at Town Beach. On the next day, take some stellar pictures from Lamberts Lookout and then kick back and relax at Lamberts Beach. To see photos, more things to do, maps, and more tourist information, read our Mackay road trip planner. Drive from Rockhampton to Mackay in 4 hours. In August in Mackay, expect temperatures between 28°C during the day and 16°C at night. Finish up your sightseeing early on the 22nd (Thu) so you can travel to Airlie Beach. Explore hidden gems such as Grays Bay and Bowen Water Park Playground. Get outdoors at Conway National Park and Whitsunday Islands. Step out of Airlie Beach to go to Bowen and see Horseshoe Bay Rotary Lookout, which is approximately 1h 20 min away. The adventure continues: tour the pleasant surroundings at Whitsunday Great Walk, take in the waterfront activity at Abell Point Marina, view the masterpieces at Art Whitsunday Gallery & Shop, and stop by Into The Blue Gallery. To see ratings, photos, more things to do, and other tourist information, read our Airlie Beach trip planner. Traveling by car from Mackay to Airlie Beach takes 2 hours. Expect somewhat warmer evenings in Airlie Beach when traveling from Mackay in August, with lows around 21°C. Cap off your sightseeing on the 25th (Sun) early enough to catcht the bus to Whitsunday Island. 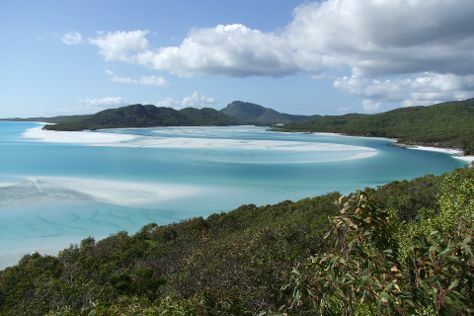 Kick off your visit on the 26th (Mon): look for all kinds of wild species at Whitsunday Islands National Park. On the 27th (Tue), you'll have a packed day of sightseeing: stroll through Whitehaven Beach and then contemplate the waterfront views at Hill Inlet. To see reviews, ratings, traveler tips, and more tourist information, go to the Whitsunday Island trip planner . Traveling by bus from Airlie Beach to Whitsunday Island takes an hour. Alternatively, you can ride a ferry. Traveling from Airlie Beach in August, Whitsunday Island is little chillier at night with lows of 13°C. Wrap up your sightseeing on the 28th (Wed) early enough to take a train to Townsville. Kick off your visit on the 28th (Wed): Head underground at Copperfield Gorge and then look for all kinds of wild species at Townsville Town Common Conservation Park. For ratings, reviews, where to stay, and more tourist information, refer to the Townsville day trip planning website . You can take a train from Whitsunday Island to Townsville in 4.5 hours. Other options are to take a bus; or fly. Traveling from Whitsunday Island in August, expect somewhat warmer with lows of 17°C in Townsville. Wrap up your sightseeing on the 29th (Thu) to allow time to travel to Cairns. On the 29th (Thu), admire the landmark architecture of Freshwater Station, identify plant and animal life at Birdworld Kuranda, and then kick back and relax at Yorkeys Knob Beach. Get ready for a full day of sightseeing on the next day: cross one thing off your bucket list with a skydiving experience and then take a tour by water with Boat Tours & Water Sports. To see where to stay, maps, and other tourist information, go to the Cairns trip planner. Traveling by flight from Townsville to Cairns takes 3.5 hours. Alternatively, you can drive; or take a bus. In August, daytime highs in Cairns are 31°C, while nighttime lows are 20°C. Wrap up your sightseeing by early afternoon on the 31st (Sat) to allow time for travel back home.